As every season comes and goes, nature has always held a power over Japan. Both devastating and inspirational, this country is finding new ways to use it for a better future. 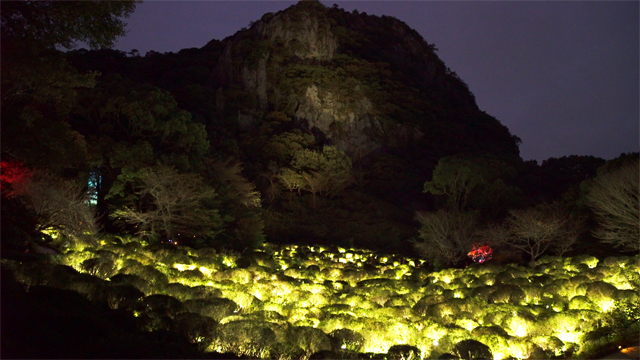 teamLab is a Tokyo-based art collective that wants to reconnect us to nature with show stopping works of art. CNN travels down to Saga to witness how these “ultra-technologists” have digitized nature. ‘On Japan’ then visits TBM, another company inspired by nature. It’s hoped their new material, Limex, will replace paper and plastic. Made from limestone, it’s more eco-friendly and has already won numerous design awards. The 2011 earthquake and tsunami was a disaster that forced traditional industries to innovate in order to recover. Hiroki Iwasa, an IT entrepreneur is bringing his technological prowess to the farming industry. His Migaki Ichigo brand of strawberries is grown in high-tech greenhouses where the environment is controlled by computer programs. And if that’s not enough to help farming becoming more efficient, another company, Mebiol has created a new method of farming inspired by artificial organs. Yuichi Mori developed Imec film farming. He grows plants without soil on a hydrogel membrane. This means the plants require 90 percent less water than traditional farming and can be grown in almost any environment. While Japan may not have invented the automobile, its automotive industry has established itself as a global competitor. ‘On Japan’ visits the Tokyo Motor Show to see some of the latest trends and rides Tokyo’s highways to see Nissan’s newest autonomous technology. CNN then heads to Kyoto to meet a small electric vehicle startup. GLM wants to be the Ferrari of electric vehicles and thinks its small team has the innovative approach to shake up the entire industry. A tourist attraction in their own right, Japan has become famous for an everyday item – toilets. In 1914 Toto’s founder introduced western toilets to this country and since then, they’ve dedicated themselves to creating high-tech bathroom solutions. ‘On Japan’ explores what has led to the cult following of unlikely icon.